Volkert is seeking an Entry Level Drainage Engineer in our Tampa or Orlando office. The Entry Level Drainage Engineer position involves working as an associate in the Florida Region Transportation Group on a variety of transportation-related projects in the state of Florida. Such projects will include major interstate corridors, complex system interchanges, tollways, express/managed lanes, and other large/high-profile transportation projects. The associate will perform tasks related to the engineering design of various drainage improvements such as collection systems, conveyance systems, and stormwater management facilities. The work will be performed in a team-focused environment and in direct coordination with the Roadway, Structures, Traffic, and other disciplines associated with the project. In addition, the associate will assist in the preparation of drainage design documentation, reports, hydraulic studies, pond siting reports, and other related engineering deliverables. The associate will also assist in the development of concepts, exhibits, sketches, and construction-level engineering plans. 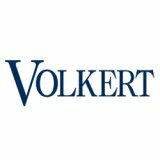 In addition to the position’s skills, education and experience requirements, the following Volkert competencies are considered foundational to understanding performance, now and in the future. APPLY FOR THE POSITION: Salary is commensurate with experience. All resumes received will be held in confidence. Email Resume and salary requirements to HR@Volkert.com with the subject line: Drainage Engineer — Orlando, FL.